Raising pigeons is a great hobby, When pigeons get the care they need and deserve, they are a wonderful past time. It is a hobby that gives hours of inexpensive fun and pleasure. They can be as clean and enjoyable as any dog, cat, or goldfish. 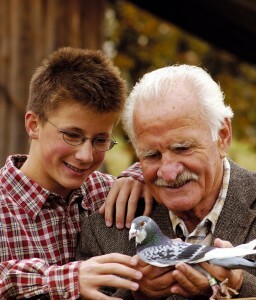 Racing pigeons is one form of enjoyment. 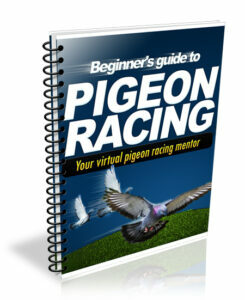 There are racing pigeon clubs in many Countries of the World. It is the National Sport of Belgium. Several times each week, clubs in Belgium send hundreds of thousands of pigeons to race for prizes that can be over $50,000. The Queen of England even has a loft of pigeons. She was given them as a token of friendship from the King of Belgium. 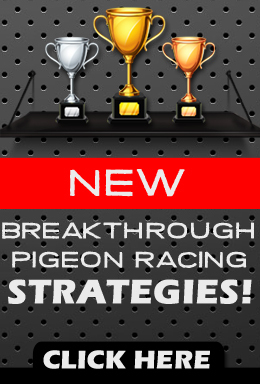 Racing pigeons in America is also becoming a big sport. One race in America recently paid out nearly $800,000 in prize money to the top birds. People that keep pigeons have a very big responsibility. They are Ambassadors for the Sport. It takes time and effort to make sure that the loft is clean and well kept. Notice that we said clean and well kept. A clean and well kept pigeon loft does not have to be expensive. It can be very cheap, but it does have to be well kept and clean, regardless how much it costs. The pigeons must also be well trained. They need to have good manners. If they are allowed to fly all over the neighborhood and land wherever they please, then they are not well mannered. When this happens, neighbors get upset. They also get upset when they have to look at a dirty and sloppy loft. When this happens, we are teaching our neighbors that pigeons are dirty. We are not being very good Ambassadors for the Sport. 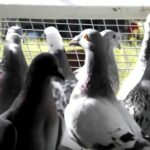 If you would like to enter the Sport of Pigeon Racing, but you do not know where to find them, one of the easiest ways to call a local feed dealer that sells pigeon feeds. 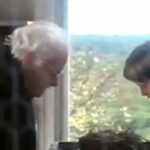 They are usually very helpful in helping you get in touch with a local fancier. It you already know someone who has racing homers, then you already have a head start. pigeon sport is getting smaller do to that most youngsters can’t afford to keep the birds and train them. The time needed to look after the birds is the biggest killer of the sport. I use to love the sport and my father was a big flyer, but having no one to help looking after the birds, is my biggest problem. The environment where I stay makes it impossible to build a loft. Now I read about the racing birds. Lots of pigeon clubs have closed down due to the lack of new members. Sore hart. I have had pigeons all of my life and till ive seen your website i am so very impressed at your sight and KNOW your doing a service to the pigeon sport.